Niccolò McConnell ’17 (United Kingdom) will study Economics and Statistics at University College London, where the acceptance rate for his program is just 11 percent. He turned down offers to study Economics and Finance at Bocconi University and Economics and Mathematics at the University of Warwick. 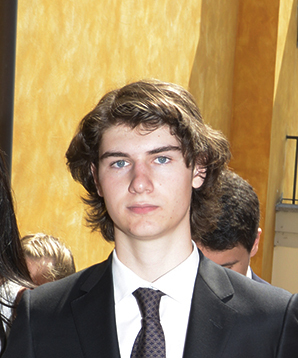 A very well-rounded student who started at TASIS in seventh grade, Niccolò is fluent in English and Italian, was the recipient of the 2017 Excellence in History Award, and earned the top score of 7 on all three of his Higher Level (HL) IB exams—Economics, Mathematics, and Physics—en route to capturing an exceptional 42 points overall. His total score was the highest among the 57 TASIS students who earned an IB Diploma in 2017, and his 7 on the incredibly demanding Math HL exam was the first in TASIS history. Niccolò was a student leader in the Gram Vikas Global Service Program group and described his service trip to India as his most inspiring experience at TASIS. “Seeing how hard the kids there focus on their studies motivated me to really work hard in the IB,” he said.